The special event was all day until they ran out of soup! 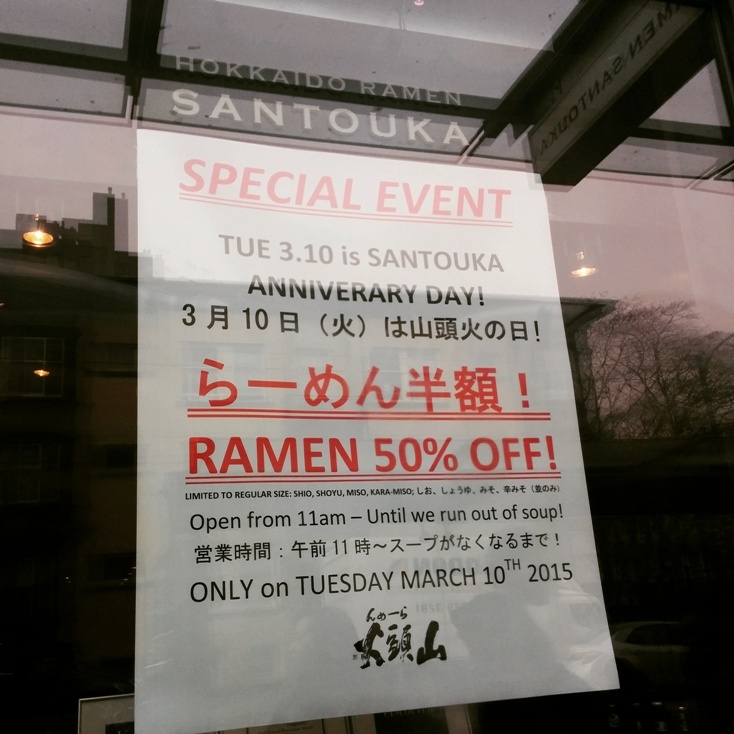 The 50% off only applies to their shio, shoyu, miso and kara-miso ramen. We went really early and got there at 11:15am! We ended up waiting for 20mins which isn’t too bad. We both ordered the Kara-Miso which is a spicy version of their regular miso. Since it was a busy day for them, we placed our order in line before we were seated and after we were seated our ramen arrived almost right away. So efficient! The noodles were al dente and the cut of pork was well marbled just the way I like it. It was thick enough too. The broth was rich and creamy while having the right kick of spiciness. I liked this much better than the red ramen I had at the Ramen Butcher. 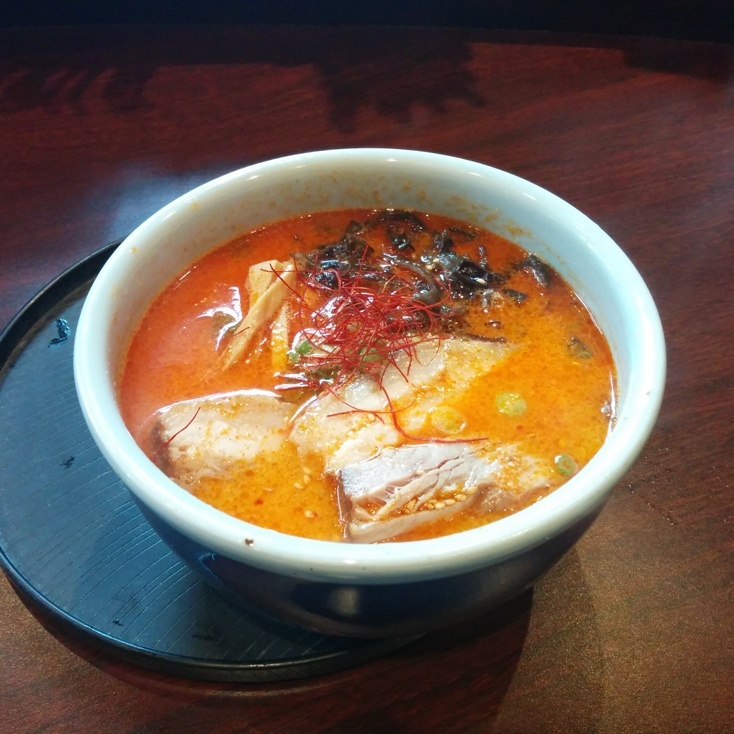 This entry was posted in Food Reviews, Japanese and tagged cha-su, miso, ramen, spicy. 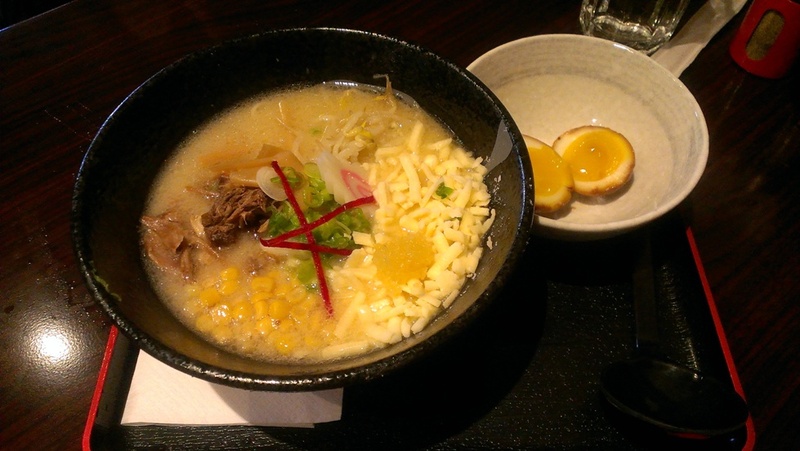 Vancouver has quite a few ramen restaurants now but there’s always room for more right? Ramen Koika has opened on Davie and Bute St. and they just had their grand opening last week. I went while they still had their soft opening special where every bowl was only $6 with tax included! What a steal! This was the Cheese Smile Ramen with a light miso flavoured broth, shredded pork, corn, bamboo shoots and mozzarella cheese. My friend also added a side of soft boiled egg. The broth did have a nice light flavour but I only had one sip so I’m not sure about how heavy it would taste after all the cheese! This entry was posted in Food Reviews, Japanese and tagged cha-su, cheese, ramen, soft boiled egg.